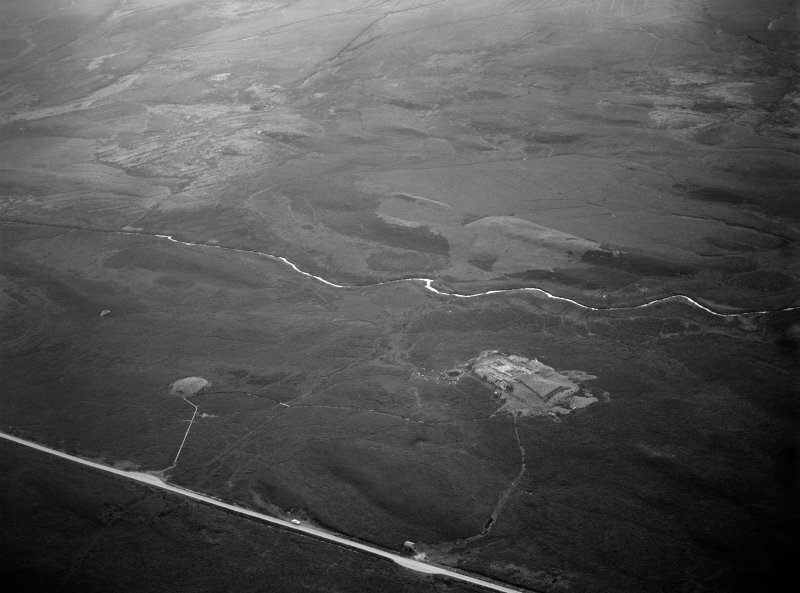 Oblique aerial view centred on the remains of the chambered cairns, taken from the W.
Oblique aerial view centred on the remains of the chambered cairns, taken from the WNW. 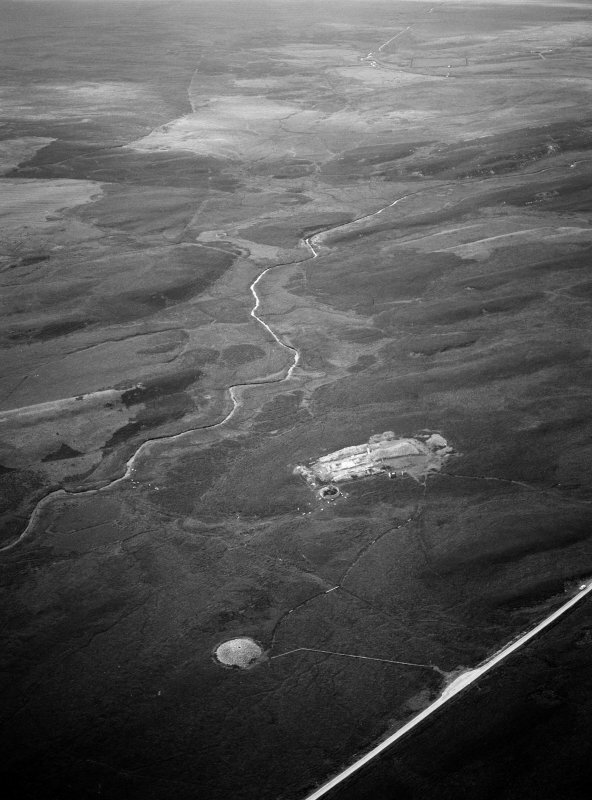 Oblique aerial view centred on the remains of the chambered cairns, taken from the SSW. 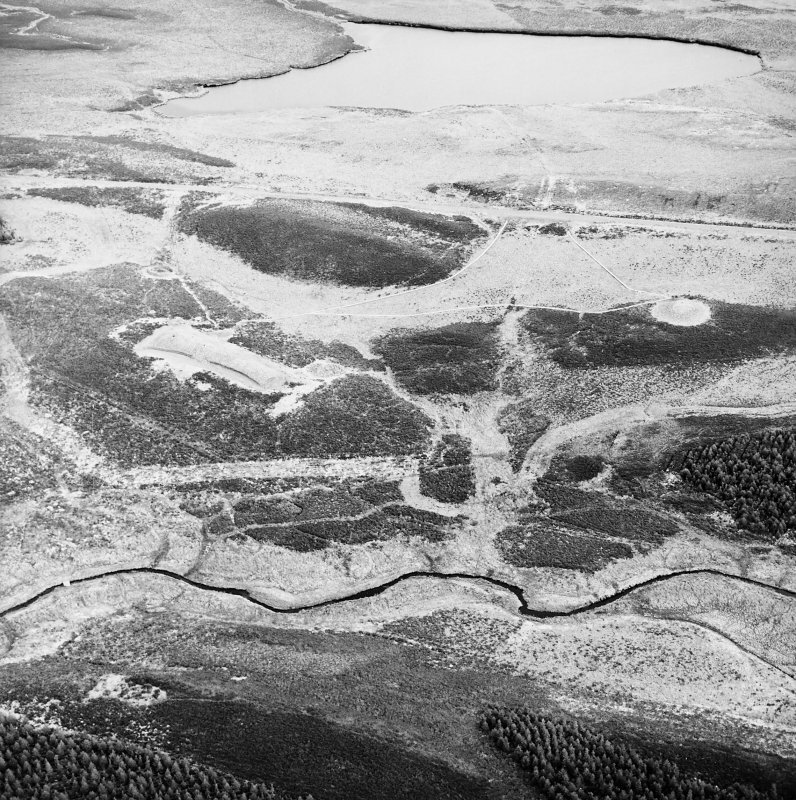 Oblique aerial view of the Camster chambered cairns and the adjacent sheepfold, taken from the SE. Robert Adam at East entrance. 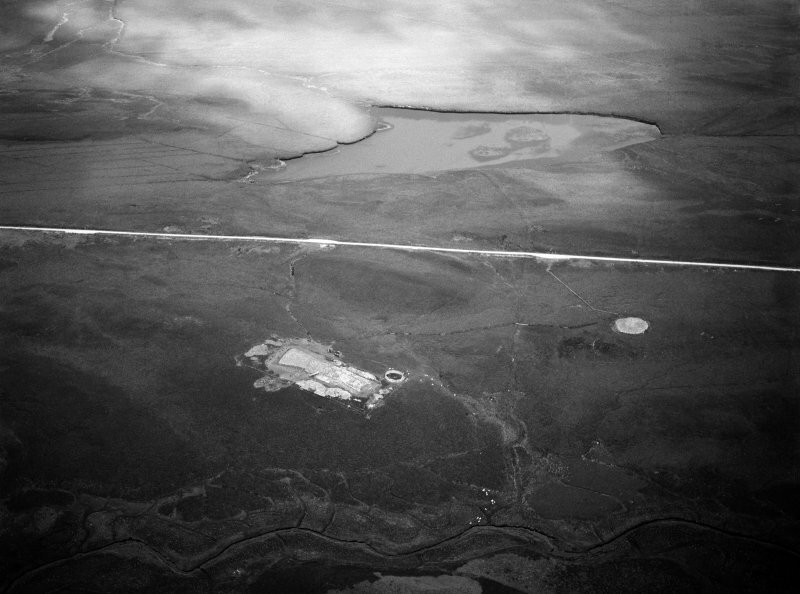 Oblique aerial view centred on the remains of the chambered cairns, taken from the WSW. Digital copy of photograph. 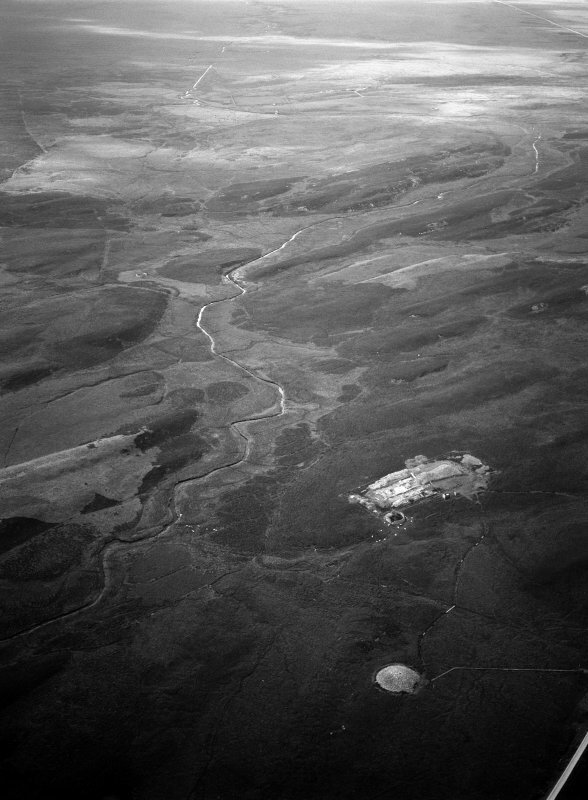 Oblique aerial view centred on the excavation of the long cairn at Camster with the round cairn adjacent, looking to the NW. 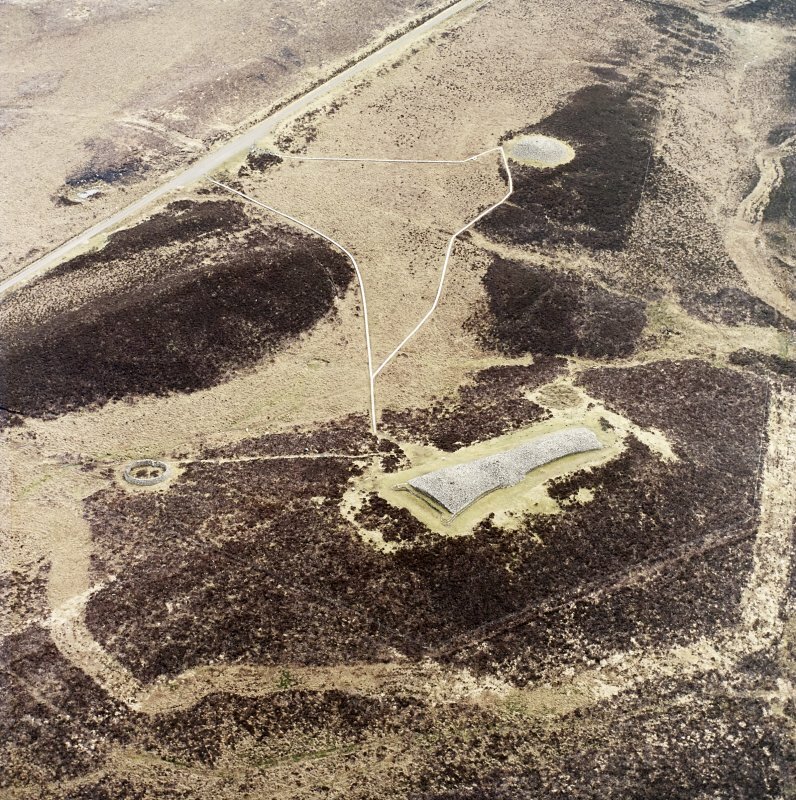 Oblique aerial view centred on the excavation of the long cairn at Camster with the round cairn adjacent, looking to the E.
Oblique aerial view centred on the excavation of the long cairn at Camster with the round cairn adjacent, looking to the WSW. 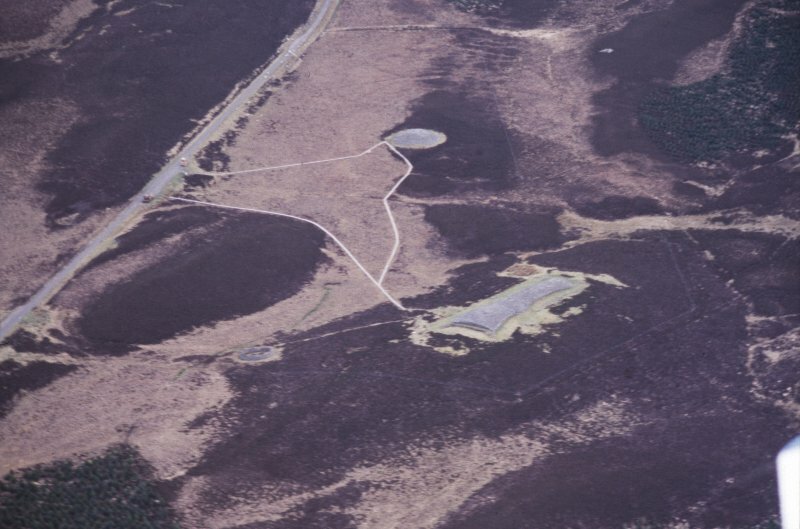 Oblique aerial view centred on the excavation of the long cairn at Camster with the round cairn adjacent, looking to the ENE. 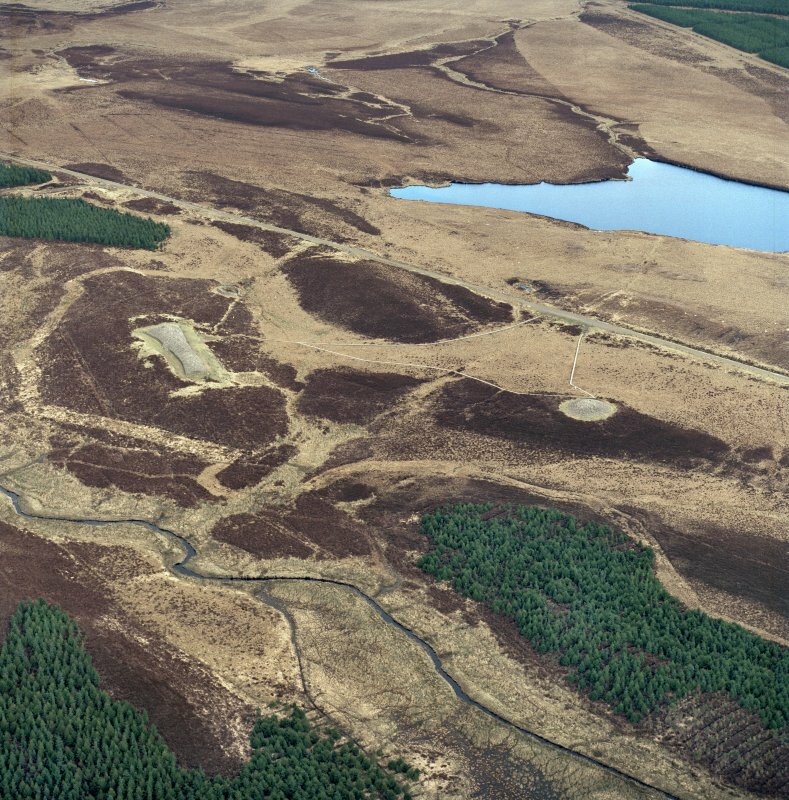 Oblique aerial view centred on the remains of the chambered cairns, taken from the NW. An Orkney-Cromarty type round cairn, 60' in diameter and 12' high, virtually intact, with a particularly fine chamber which together with ND24SE 21, gives name to its type. This is one of the group of three cairns known as the ' Grey Cairns of Camster' (See also ND24SE 1 and ND24SE 17 ) Excavation by Anderson and Shearer in 1865 produced flint implements and an iron knife-blade, now in the National Museum of Antiquities of Scotland (NMAS, Accession no's : EO 97-123) and pottery, now lost. 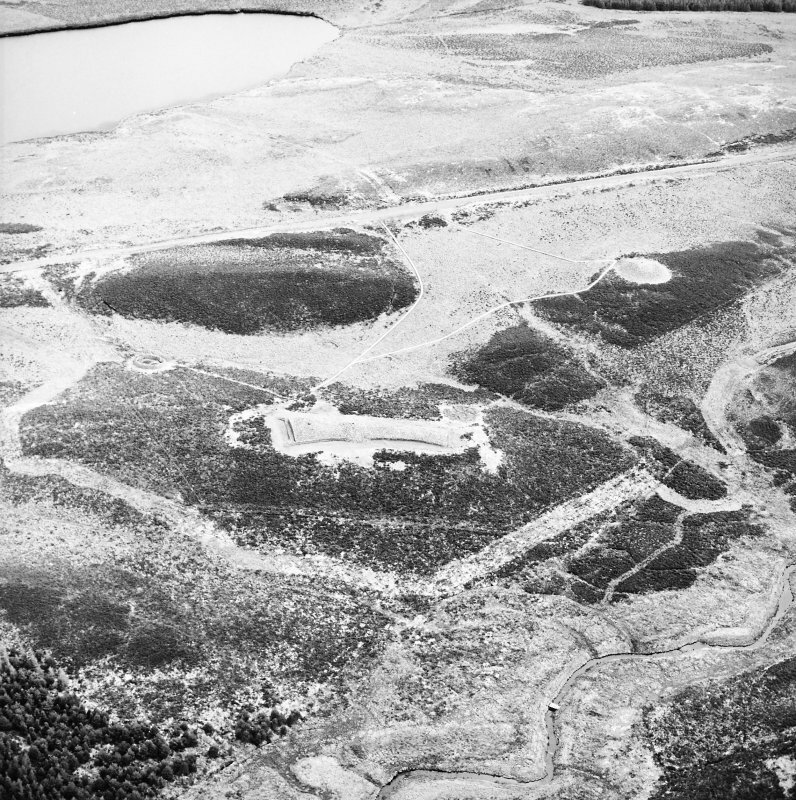 Further excavation was carried out by R Ritchie in 1967 prior to the public's being allowed access to the chamber. A tiny fragment of beaker was found, and half the blocking in front of the entrance was removed. 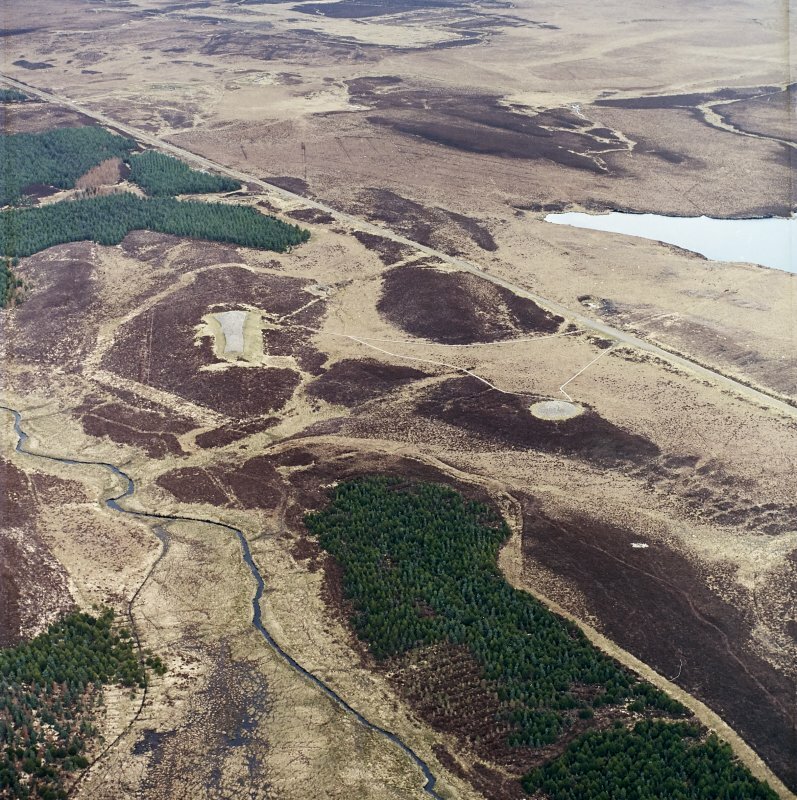 A S Henshall 1963; Name Book 1872; Curr Archaeol 1972; J Anderson 1886; RCAHMS 1911; S Cruden 1967; Visited by OS 11 April 1972. Copies of eight drawings from P R Ritchie's 1966 excavations at Camster Round have been catalogued. 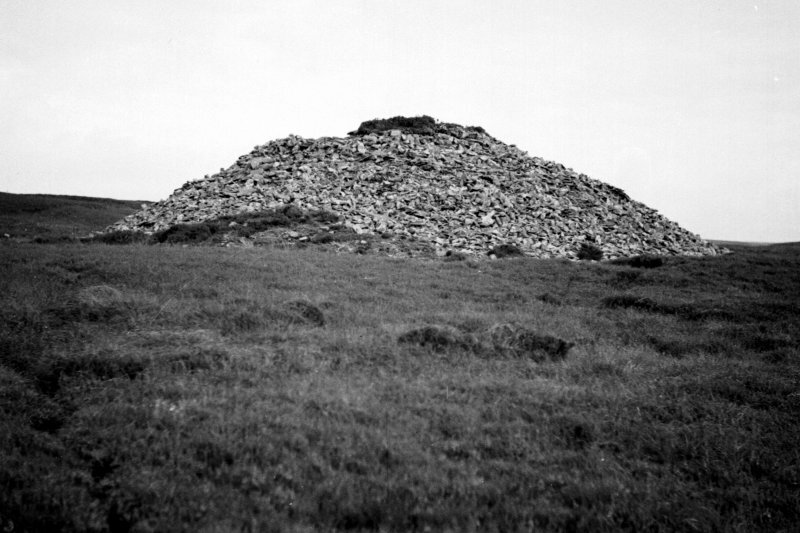 The Grey Cairns of Camster are two of the best preserved neolithic chambered cairns in Britain. 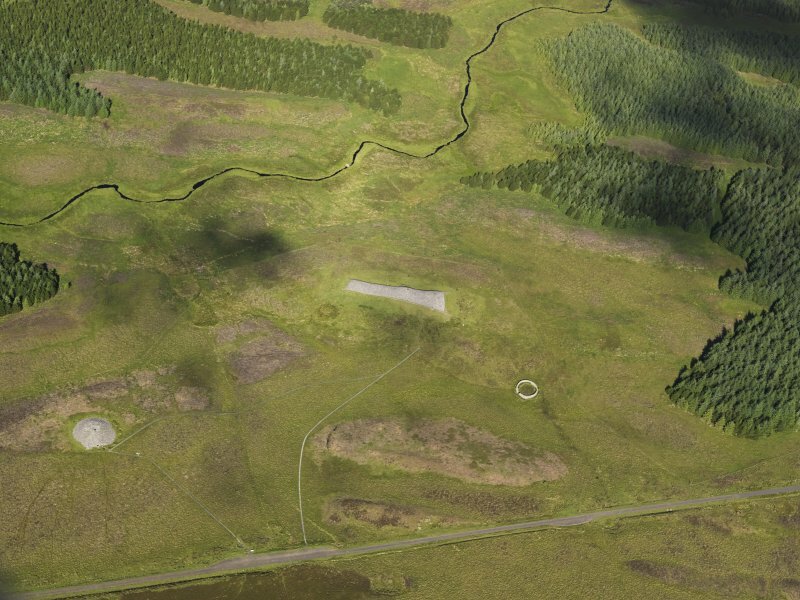 These huge mounds of grey stone, one round and one long, stand in open moorland close to the modern road. Careful restoration has made their chambers accessible to visitors, and rooflights make torches unneccessary. 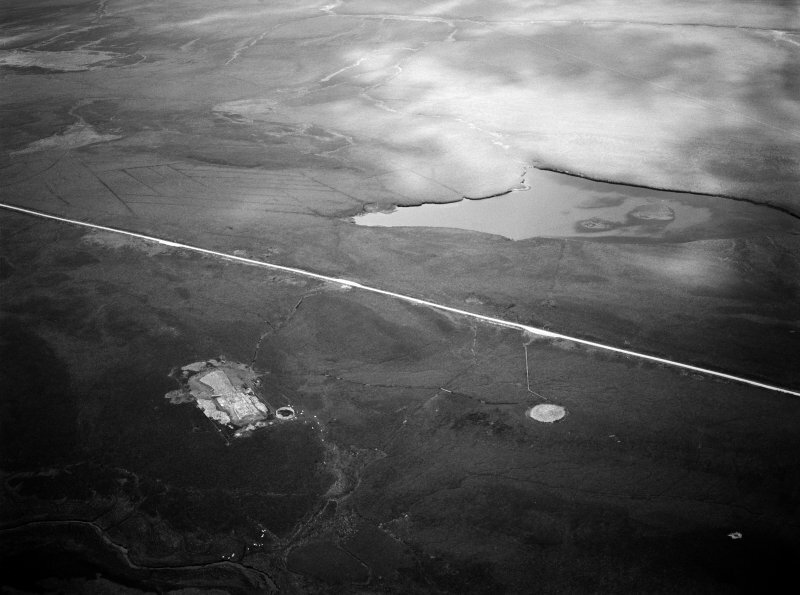 The passages are low, so be prepared to get your knees muddy. 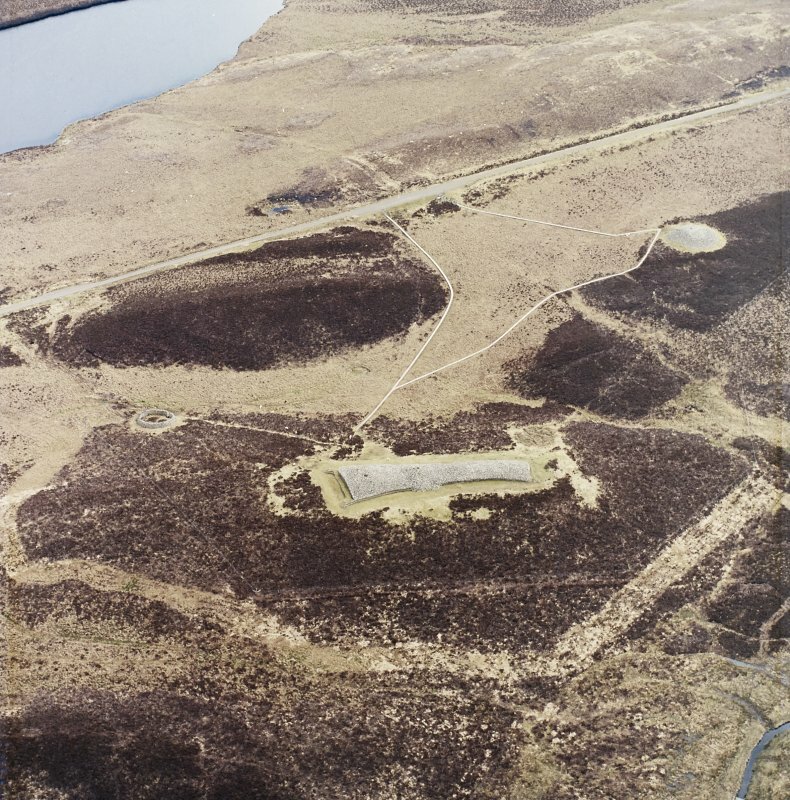 Camster Round is almost intact and stands some 3.7m high and 18m in diameter, though some collapse round the sides has buried its original dry stone kerb. A passage leads to the central chamber which still has its original corbel led roof, a rare survival. 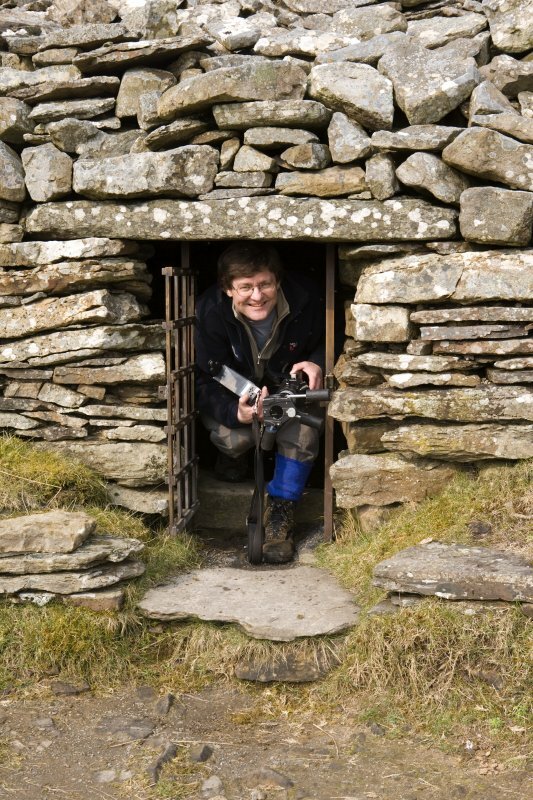 The walls are of drystone masonry and large vertical slabs divide the chamber into three parts. The cairn was excavated in the 19th century when burnt bones, pottery and flint tools were found in the chamber and the remains of several skeletons in the chamber and passage. 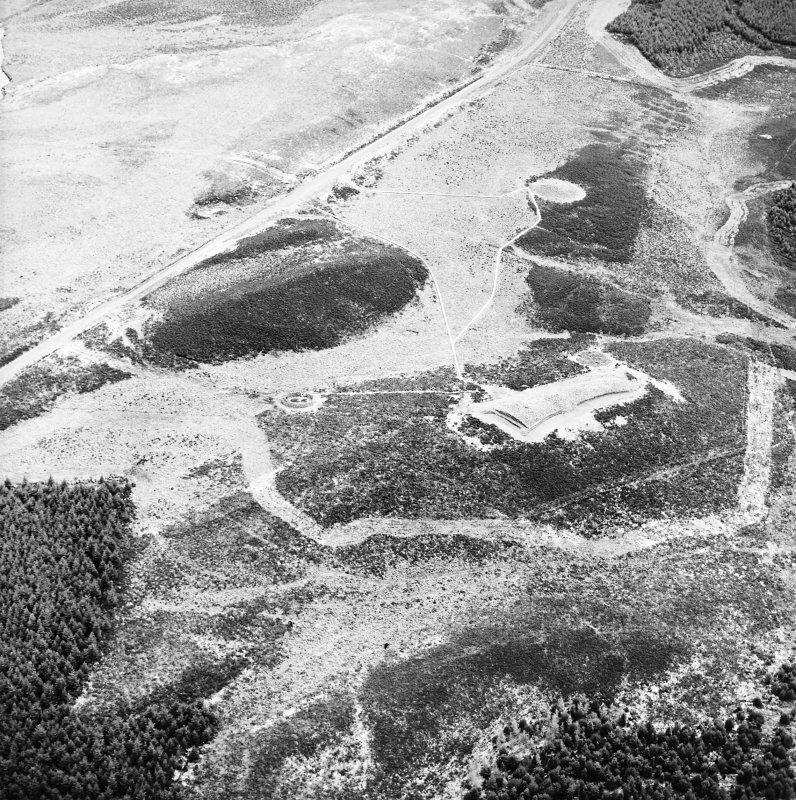 Camster Long is an enormous elongated mound of stones, 69.5m long, with short horns at each end defining forecourts. 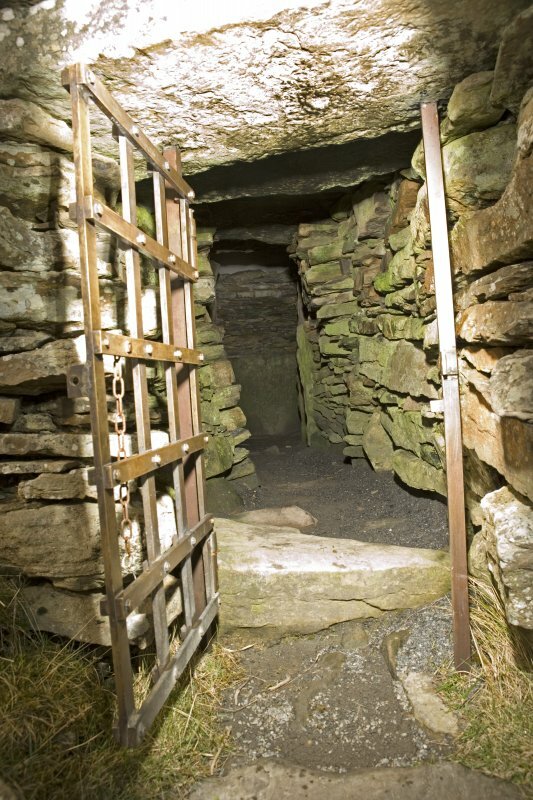 There are two burial chambers in the cairn, both at the north end with their entrance passages to the east. One is a simple, polygonal chamber formed of vertical slabs, the other is more elaborate and divided into three compartments by slabs. The original roofs had collapsed, so both are now roofed with fibreglass domes. Any burials in the chamber were destroyed in 19th-century excavations. 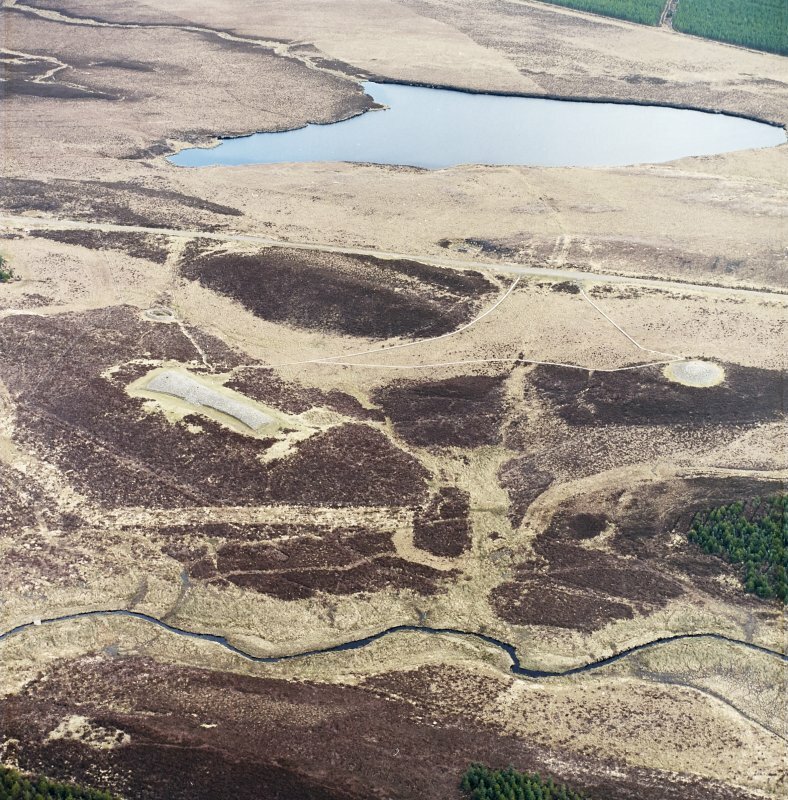 New excavations over a period of years were completed in 1980 and the cairn has since been restored. It is a complex structure of several phases. The northern chamber and probably the southern one also were originally contained in small freestanding round cairns. Later on the great long cairn with its horned forecourts was built over them, and may itself have been built in several stages. The long cairn was retained by drystone walls which have been repaired as far as possible with the original materials. The passages of the chambers had to be extended by the ancient builders to reach the edge of the new long cairn. The south end of the cairn had been robbed to build a modern sheep stell, the round structure east of the cairn, and the facade at this end has been restored with new stone of a deliberately different colour to distinguish it from ancient work. The north forecourt has an unusual stone platform, now grassed over for its protection.